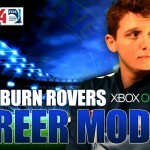 Hey everyone, yes FIFA 13 Career Mode information got released to the public yesterday and I can tell you know I am pumped for this game there are so many new features coming to the game such as International Management this is what it says, you can now be called up to manager your country but it is not that simple you need to grow your reputation to get offered jobs, so better your reputation the better the offer. Another feature which I like, is the new ‘Managers Office’ you can now leave mid season and look for a job and it does look like if you get sacked you can now find a job half way though the season rather than simulating you full season, so no time will be wasted. They have got some brilliant features in the NEW Career Mode if you want to see all the features please be sure to click the video below and discuss in the comments what you think!